We are offering our customers a wide range of AC Drive PLC Repairing. Used & Unused AC/DC Drive, Programmable, Logic controller, Tamp Controller PID Controller, SMPS, Bridge Rectifier, IGBT SCR , Cable Wires & Switch Gears. AC Drive: Allen Bradley, Siemens, Schneider, Yaskawa, and Denfoss etc. PLC: Siemens, Allen Bradley, ABB, Modicon, Omron, Messung, Mitsubishi etc. Saniya Control Systems India’s most rewound supplier’s assembler of new, used and second hand programmable logic controller, Human-machine interface, AC Drive and other industrial electronics. Saniya Control Systems were established in 2008 as a small repairing centre of PLC and AC Drives. With the time slide and dedication in business and our service to our customer helped us to grow our business and we became exporters of used industrial electronics.Our mainly targeted sites are AC Drive, DC Drive, PLC, HMI, IGBT, PID Controller, Temperature Controllers, Flow Meter, SMPS and many other automation and control systems items. We have talented technical staff and educated administrative team. All the materials we supply are tested and confirmed OK. We ensure total responsibility for the material we provide.We have huge stocks for PLC in brands like Allen Bradley, Siemens, Omron, ABB, GE Fanuc, Mitsubishi, Talley Mechanic, Delta, Fatek, LG, Toshiba, and many other brands. We Mainly function with used Industrial Electronics as awe have huge stock for used AC Drive, DC Drive, PLC, HMI, IGBT, PID Controller, Temperature Controllers, Flow Meter, SMPS we can supply and guarantee next day delivery or delivery within two to three working days. 1) NIB: NIB means Material is New with all original factory packaging, sealed or unsealed, instructions and accessories if normally supplied when purchased from OEM must be present. Item has not been used, packaging and item match and are undamaged, and serial numbers must match. 2) NNB: NNB means Material is New without all original factories packaging some OEM supplied accessory items may be missing. Item is not damaged cosmetically, item has never been used or installed and is working. 3) REM: REM means Material is used in working condition, item is in resalable condition, without severe cosmetic damage, some OEM supplied accessory items may be missing. 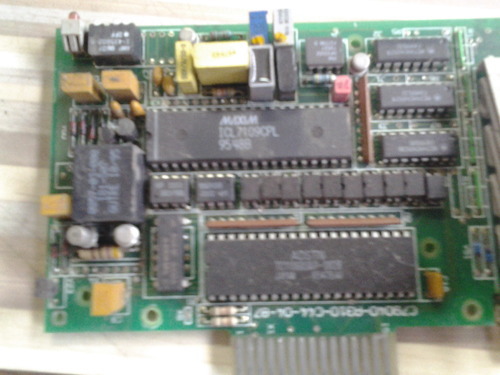 4) ROM: ROM Means Material is damaged but its PCB and all other function are working properly, Used in working condition, and some OEM supplied accessory items may be missing.